There’s so much more to Bali than most Australians ever see. If you’ve been turned off visiting by images of disrespectful visitors in thongs and Bintang singlets drunkenly trodding all over religious offerings in the streets of Kuta, you’ll be glad to know there’s a lot more to Bali than this. Bali’s nature and culture are the real reasons you should experience this magical island, off the coast of Indonesia. Though it can be hard to avoid the aforementioned people completely, do yourself a favour and stay somewhere away from the tourist centres, or at least get yourself a private villa rather than a hotel room. Those looking for pure relaxation can easily spend their days having a massage or sitting poolside with lush jungle views, but if you’re looking for outdoor adventure there are so many ways to experience Bali‘s nature. These are just a few. Image courtesy of Alam Amazing Adventures. Paddle between dense jungle, dodging overhanging palm trees, on the Telaga Waja River. 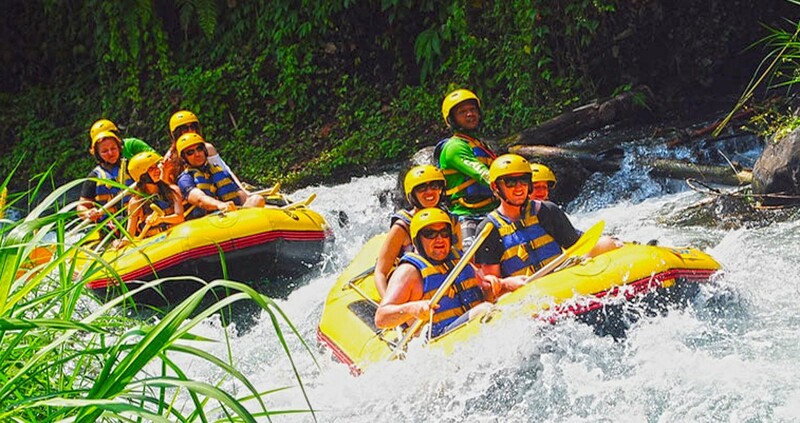 This river is known as Bali’s best location for white water rafting, featuring extreme currents and grade 3 to 4 rapids. You’ll be treated to the surrounding scenery of mountains and rice fields, and the stone cliffs in narrow parts of the gorge. Most tours here take two to three hours, visit a waterfall along the way, and finish with a drop down a 4-metre spillway, which many visitors say is the highlight of their whitewater rafting experience. 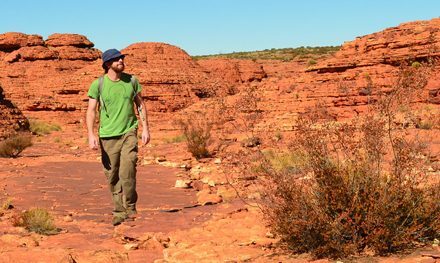 Alam Amazing Adventures is a highly rated tour operator, especially since a portion of their profits is donated to local environmental causes. If you can plan your trip during Bali’s wet season (November to March), you’ll have a more thrilling ride due to the heavy rainfall. One of the easier volcano traverses in Indonesia, the hike to the top of Mount Batur can be completed in two to three hours. Some people will tell you it’s easy. They’re obviously pretty fit people because the trail is steep as hell. The point is, it’s relatively short and if you’re of reasonable fitness you don’t need to be too scared. Mount Batur is an active volcano that peaks at 1,717 metres above sea level and is considered sacred by the Indonesian people. Highlights of the hike include the lush jungle you’ll weave your way through and views of the stunning Lake Batur. 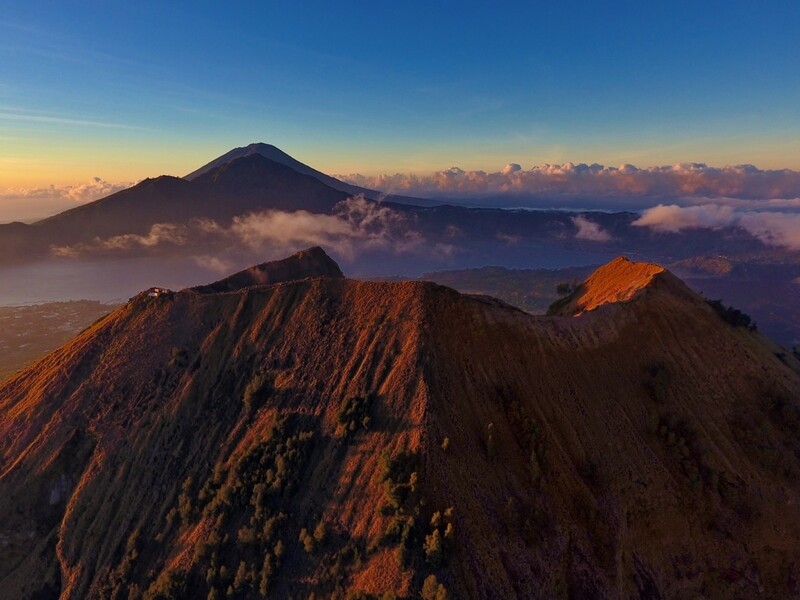 Summiting in time to watch the sun rise over the caldera lake is one of the most popular outdoor adventures in Bali. If you want to avoid the sunrise crowds you can take a tour later in the day, but as with many other hikes in Bali it’s not a good idea to hike without a guide. This Outpost article gives a good idea of what you’ll face if you decide to try to do it yourself. There are loads of tours available and they can be booked from the operators in Bali’s tourist centres or via an online booking site like Viator Travel. Some tours even offer the chance to mountain bike back down Mount Batur after you hike up it, which sounds incredible. Seawalker isn’t unique to Bali and this isn’t the only ‘Seawalker’ experience in Bali either but it is highly rated online. 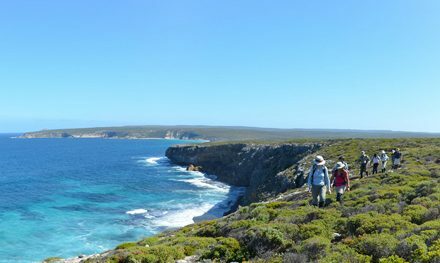 It’s like a cross between scuba diving and snorkelling, except you walk more than you swim and instead of breathing through a tube, you put a bubble on your head that’s connected to an oxygen tank – almost like the head part of an old-school scuba diving suit – and walk amongst the coral and tropical fish. If you don’t have any scuba experience or even if snorkelling gives you the heeby-jeebies because, let’s face it, breathing through a snorkel is creepy, this is the absolute best way to have an underwater experience. It’s perfect for the kidlets and be undertaken by anyone (who has the ability to walk and) who has an average level of fitness and no heart or respiratory conditions. They say you don’t even need to be able to swim, which I guess looks to be technically true, but I don’t think I’d be keen if I wasn’t a swimmer. 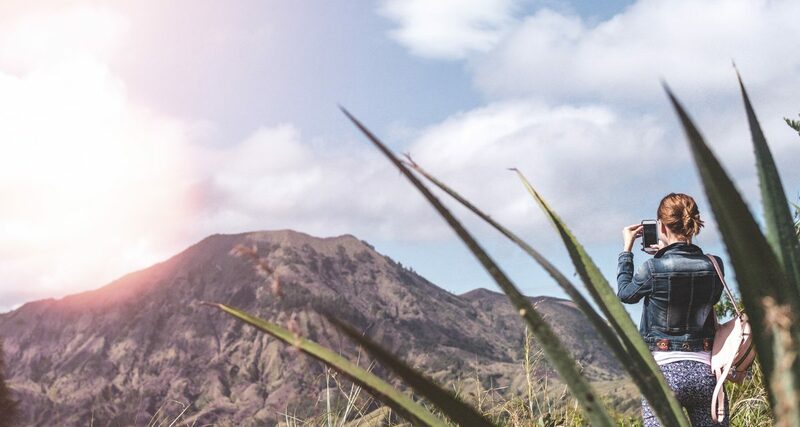 While Mount Batur isn’t somewhere you can currently trek due to its volcanic activity (much like my beloved Mount Rinjani on Lombok), it’s definitely one to keep an eye on. Without a doubt, it offers the best views in all of Bali. This volcanic activity goes in waves and while anyone aware of world events would know to go elsewhere at the moment, there will soon be a time where Mount Agung is safe again and the local people will need visitors to help them thrive. This volcano towers a massive 3,031 metres above Bali and is home to the Pasar Agung Temple and the Mother Temple of Besaikh. The path to the summit is challenging, some would even say dangerous, but the reward is well worth the adventure to get there. 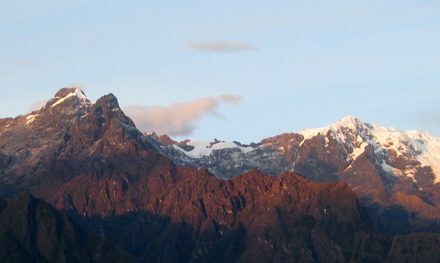 Trekking to the summit for sunrise is a particularly popular activity but obviously carries with it the added risk of hiking this difficult terrain in complete/near darkness. The trek to the summit generally begins from one of the two temples – the trek from Pasur Agung requires 4 to 5 hours to reach the summit, but the more difficult Mother Temple of Besaikh route takes 6 to 7 hours. Either way, the temples you pass on the way to the summit provide a spiritual element to the trek that will satisfy even those who aren’t particularly phased by the physical challenge. 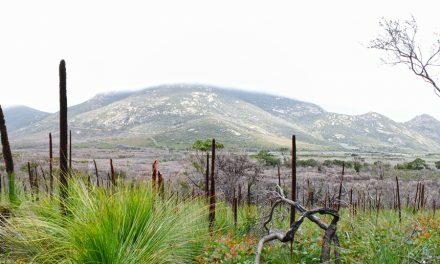 There are times where the path will feel more like rock climbing than hiking and in some sections, you’ll be subjected to extremely difficult rocky traverses and even sheer drops. 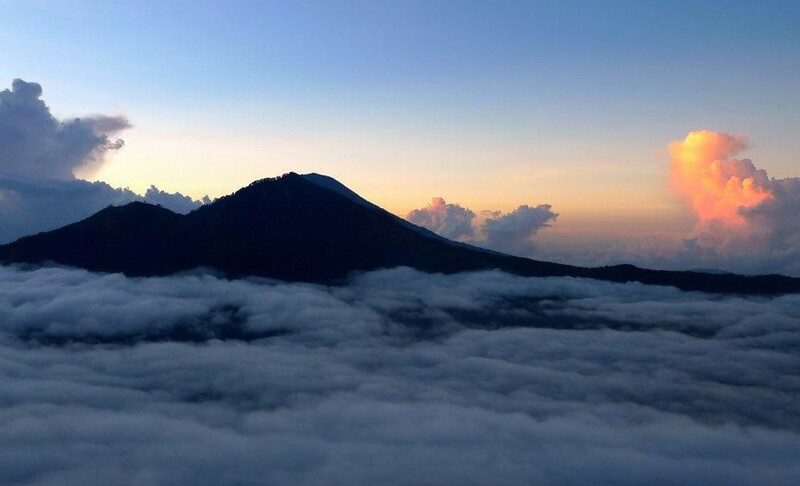 Once at the top, though, the whole of Bali lies before you as a reward. It’s not recommended to attempt the Mount Batur trek without a guide. Many guided tour packages on offer, either from tour vendors in Bali’s tourist centres or, if you’d rather book ahead, from online travel agents like Viator Travel. 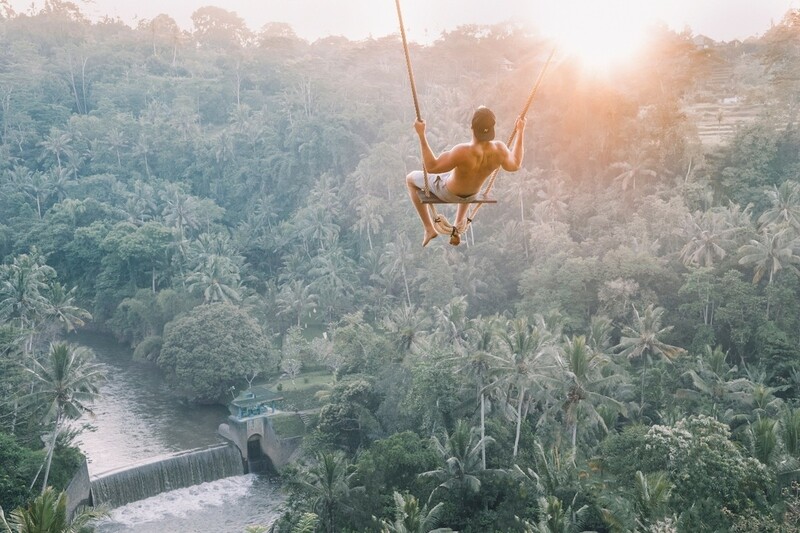 Okay, so maybe it’s not what you’d typically think of as an ‘outdoor adventure’ – some of you might even see it as an activity that’s strictly for Instagram-loving milennials (shout outs from an Instagram loving non-milennial here) – but there’s a lot to love about the famous Bali Swing near Ubud. Harnessed into a simple swing, which is hung over a platform above a stunning valley and river, you’ll be pushed off like a little kid to swing gleefully over palm tree tops. Surely at least some small part of you remembers the joy of being pushed on a swing as a kid, so imagine you were being pushed into a beautiful valley and you’ll have a pretty good idea of what Bali Swing is like. There are a lot of copycat swings popping up all over Bali from what I hear, but my research suggests that the original is still the best. To me, at the very least, it looks like the safest option. You’ll pay for the privelege, though – you’ll get unlimited time on the swings for USD$30 (includes pickup from a set location in Ubud and lunch). If you don’t want to swing it’ll cost you USD$10 to come along and take photos. The Bali Swing can be booked either through your accommodation or via the tour companies in Ubud. Book in advance. 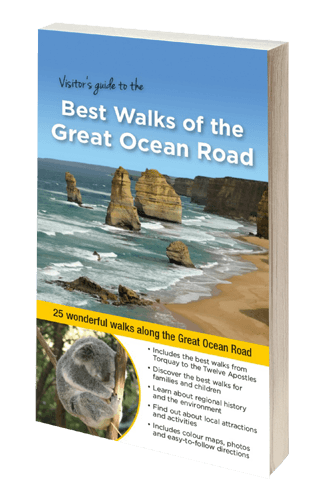 This post is brought to you by The Bushwalking Blog and Bali Villas. Contact Bali Villas for a short consultation, and they will be able to find you the perfect villa. Bali Villas aim to take the stress out of planning your holiday, so you can concentrate on having the adventure of a lifetime. Have you been to Bali? Did you spend your time adventuring rather than lazing by the pool? Got any questions, comments, updates or corrections? Let us know by commenting below.